Traveling with your small family? Try the comfort and convenience with a great 20 mile-vista to the east off the large second floor deck shared with the other family suite. Both suites overlook the pool, so you can keep an eye on those youngsters in the pool during swimming season. 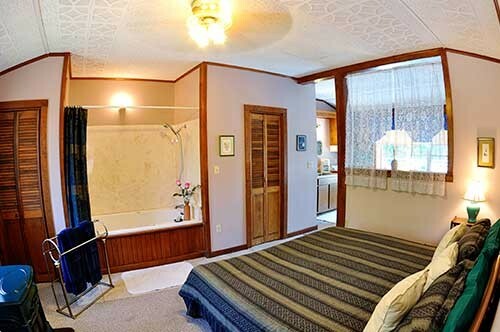 Both have Jacuzzi tubs with shower and full kitchens, comfortable living rooms, dining table. 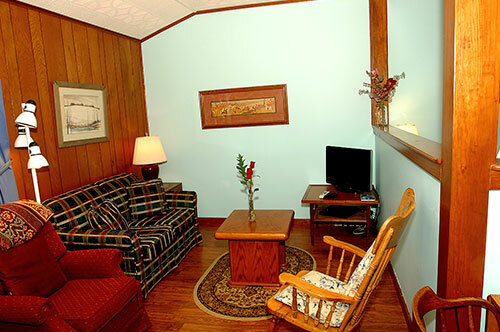 Share the peace of Pond Mountain with your family sitting on the deck listening to the birds sing their morning songs!